The grimness is there, of course. But its influence dims as Sam plays out his role in all that happens when devastation strikes a loving, long-married couple: Susan’s suffering, and his sharing in it. They hold hands in their synagogue when her name is read out on the Mishebeirach list for the first time, and people ask what’s wrong. Sam discovers, and admits, that Susan is the stronger of the two of them in this new, undesired situation. He suffers with her, for her. 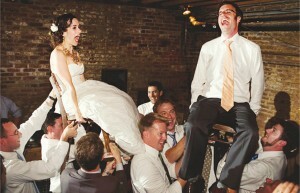 But in the end, when Sam hears the musicians tuning up again, this time for his and Susan’s favorite song — for their actual last dance together — something happens. The ballroom dissolves away. They do not take the floor. And there, now, in real life, is Susan: the healthy survivor, sitting and smiling in the back of that makeshift theater. The two met as teenagers at a BBYO convention, married young, had children and lived through breast cancers that assailed members of both their families. Yet, they had never anticipated this for themselves. Susan’s ordeal began 13 years ago. Sam, the fourth child in a family of five, is now past retirement age and able to tour “The Actual Dance” full time. The play’s next stop will be Indianapolis, where his performance will open Hadassah’s 2013-2014 program year. Working the minimal audio effects (some bits of music, the sound of footsteps in a hospital corridor) will be my networking friend Marion Simon Garmel, the actor’s oldest sibling. As I write this, I’m preparing to leave for Salt Lake City, site of this year’s NFPW conference. It will be a pleasure to see Marion again. Maybe, sometime in the future, I can do something good for her. Why, exactly, do we blow the shofar? What should I be thinking about when I hear the shofar on Rosh Hashanah? It seems like there should be more focus than just how well of a job the blower did this year! — Wishing you a happy Rosh Hashanah, Jill K.
I don’t want to toot my horn, but I blow the shofar in our shul and, like you, I also hope that people are thinking about more than just how I did. Or if I deserve to have my shofar’s license renewed (all humor intended). The sages have pointed out many reasons for blowing the shofar; I will try to enumerate a few of them in the space I have available. Maimonides, in his Code, offers the most popular understanding. His words are quoted in many machzorim, or High Holiday prayer books: “Even though the real reason we blow shofar is a Heavenly decree and its reason is not revealed, we find a hint for it in the verse, ‘Wake up the slumbering from your sleep. Wake up and repent!’ This is referring to the people who are ‘asleep’ in the vanities of the time.” According to Maimonides the shofar is a spiritual, annual alarm clock which awakens us from our reveries so we can become focused upon our purpose in the world and begin the process of tshuvah: self-improvement and growth. Another important focus is that shofars and trumpets were blown upon the coronation of a king. Rosh Hashanah is the day when we “coronate the Heavenly King” and declare him as our King and we, his subjects. At the moment of hearing the shofar we resolve to live our lives as loyal subjects of our beloved King and to heed His decrees, the mitzvot — bringing only the highest honor to His Kingdom as dedicated members of klal Yisrael. A further hint mentioned is that the Talmud declares the ram’s horn to be reminiscent of the ram offered by Abraham in place of his son Isaac. This further teaches us the lesson of complete dedication and subjection to the Divine will, regardless of the difficulty involved or the level of sacrifice required. This thought deepens the level our fealty to the Kingdom of Heaven. One thought which I always feel connected to is the notion that our shofar reflects the shofar blast sounded by the Al-mighty at Mount Sinai. We accept upon ourselves, at the moment of hearing the shofar, to become more dedicated in the coming year to the study of Torah, and thereby more deeply connected to Sinai and all it represents. One final thought: Our shofar is a precursor of the shofar hagadol, the great shofar that will be sounded throughout the world with the arrival of Moshiach, the Messiah. This shofar will usher in the next period of history, the time we’re all waiting for! This is not just allegorical; rather, through our tshuvah when the shofar is blown on Rosh Hashanah, we actually bring the world a step closer to that final shofar. I tend to focus my thoughts on all of the above during the blowing, as well as other things, some of them personal. Each person should think about what connects them most to the moment. Best wishes for a very meaningful Rosh Hashanah. May all y’all and our people everywhere be blessed with a sweet, joyous New Year filled with peace, good health and much blessing! The healing power of music will stand out as one of the major themes at the Aaron Family JCC’s 17th annual Film Festival. Each year, the festival committee picks the best Jewish films from the past year to capture audiences and prompt discussions. This year’s festival will run from Saturday, Sept. 7 through Sunday, Sept. 29. 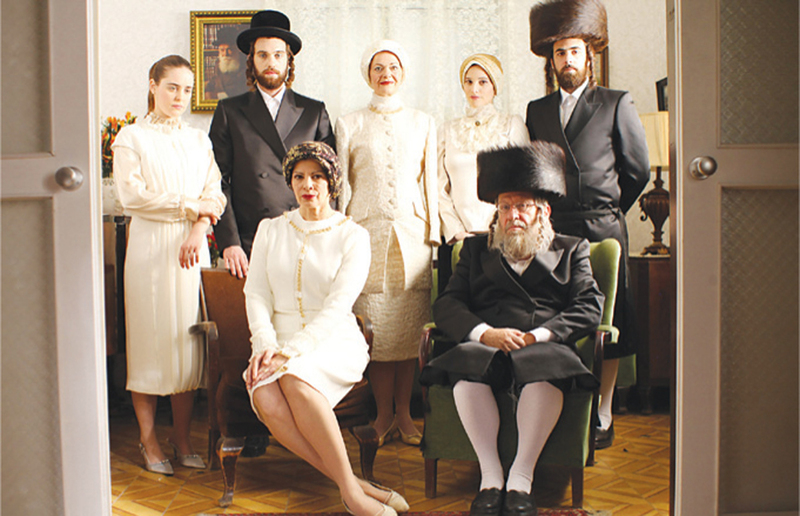 Nine films — from a romantic comedy, to an Albanian and Serbian movie, to a documentary — will shed new light on the joys and challenges of Jewish life, past and present, according to co-chairs Brenda and Peter Marcus. There are several changes to the festival this year. The opening night movie “Paris-Manhattan,” starring Woody Allen, will be shown a second time later in the month for folks who missed it the first time and those who want to see it again. And besides the Angelika Film Center in Plano and the Zale Auditorium at the J, some of the films will be shown at a new location, the Studio Movie Grill on Spring Valley Road and Central Expy. In previous years the festival has always featured a reception on opening night. But since that falls on the day after Rosh Hashanah this year, there will instead be a closing brunch with singing and dancing at the J on Sept. 29, following the last film, “Hava Nagila.” The brunch will be co-sponsored by Simcha Kosher Catering. One more change: Question-and-answer sessions are scheduled after six of the movies, led by Michael Granberry of the Dallas Morning News, Southwest Jewish Congress CEO Gil Elan, UTD professors Zsuzsanna Ozsvath and David Patterson, music educator Mark Kreditor and film editor Christine Romero. The entire festival is also supported by the City of Dallas Office of Cultural Affairs, said Judy Cohn, the J’s director of cultural programs who is retiring after the event. This is a way to bring in the greater community, she said. All of the films cost $11 in advance or $13 at the door; tickets for the final film and closing brunch cost $18 and must be purchased by Sept. 23. A season pass is also available for $95. For more information, contact Cohn at 214-239-7115. 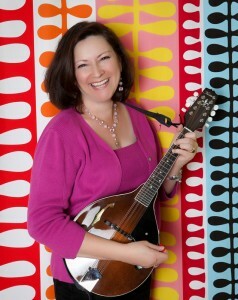 To see film clips and purchase tickets, visit www.jccdallas.org. SAT., SEPT. 7, 9 p.m.
Parisian pharmacist Alice Ovitz has been obsessed with the work and wisdom of Woody Allen since age 15. She even hands out DVDs of his films to her customers as medicine for their ailments. When the occasional suitor turns up, he never quite matches up to Woody. Will the seemingly ideal Vensent or the cynical Victor fare any better? Allen stars in this film. There will be a Q-and-A with Dallas Morning News columnist Michael Granberry following the film, which is co-sponsored by Temple Shalom and Congregation Beth Torah’s Chai Lights, Men’s Club and Sisterhood. “Paris-Manhattan” will be shown for a second time at 7 p.m. on Saturday, Sept. 22 at the Aaron Family JCC, 7900 Northaven Road, Dallas. 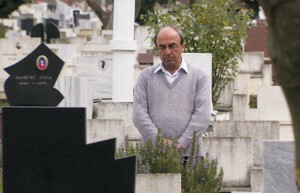 SUN., SEPT. 8, 2 p.m.
During WWII, Albania gave asylum to Jews fleeing the Nazis. Albanians took the sacred oath — Besa — to protect the refugees. American Norman Gershman journeyed to Albania to photograph these heroes; there, Gershman met Rexhep Hoxha, who was desperate to fulfill his father’s promise to return the sacred prayer books left behind by the Jewish family he saved. Deeply moved, Gershman offered to help. This is a powerful documentary about the unknown bravery of the Albanians, many of them Muslims, who saved 2,000 Jews. “This is an important aspect of the Holocaust that nobody knows about,” Brenda Marcus said. The film’s editor, Christine Romero, will lead a Q-and-A following the screening. TUES., SEPT. 10, 7 p.m.
Serbian music professor Misha Brankov has just retired when the startling discovery of a small metal box turns his life upside down. He learns that his true parents were Jewish and inherits an unfinished musical score written by his real father. Stunned, Misha is driven to pay tribute to his lost parents by completing and performing this work at a memorial concert. Daunting obstacles threaten to thwart his passionate obsession, and the haunting music permeates this drama. Dr. Zsuzsanna Ozsvath, Leah and Paul Lewis chair of Holocaust Studies and director of the Holocaust program at UT Dallas, will lead the post-screening Q-and-A. THURS., SEPT. 12, 7 p.m.
Avi belongs to a small band of self-appointed vigilantes patrolling the streets of coastal Bat Yam. Together, they terrorize the neighborhood, unreasonably enforcing strict codes of religious observance. Their frighteningly violent behavior is in stark contrast to the teachings of their gentle, charismatic rabbi. Enter pretty, independent-minded Miri, to whom Avi becomes powerfully attracted. When his gang targets Miri’s “immodest” behavior, Avi starts to question the path to faith that he has chosen. Lt. Col. (Res.) Gil Elan, CEO of the Southwest Jewish Congress, will lead a Q-and-A after the film. TUES., SEPT. 17, 7 p.m.
To obtain protection for himself and his family in Nazi-occupied Germany, Walter Süskind pursues a post with the Jewish Council. But it involves the unimaginable task of having to decide which Jews are to be sent to the labor camps. When Walter discovers what really awaits his fellow Jews, he is horrified to be part of this heinous plan; courageously, he attempts to double-cross the Germans. This true story of heroism, released in the Netherlands last year, has taken audiences there by storm. The post-screening Q-and-A will be led by David Patterson, Hillel Feinberg chair of Holocaust Studies at UT Dallas. Co-sponsor: The Ackerman Center of Holocaust Studies at UT Dallas. 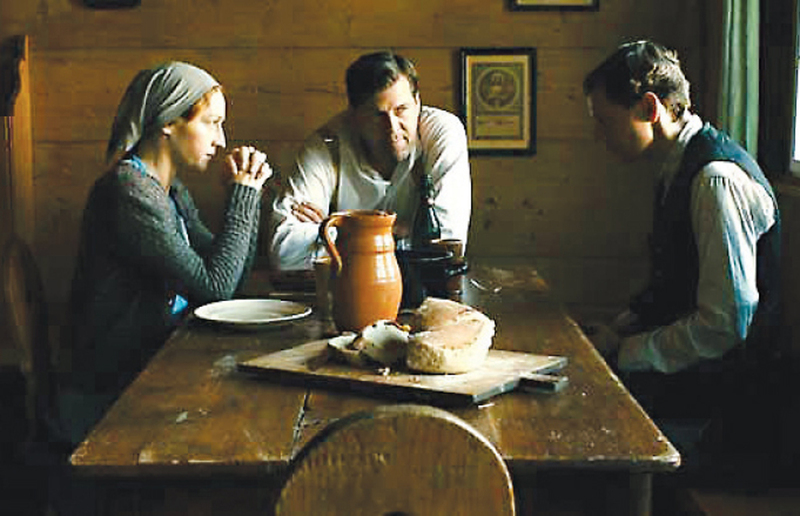 SAT., SEPT. 21, 9 p.m.
On a remote farm in the mountains of the Black Forest, a German farmer, Fritz, and his wife Emma shelter a young Jewish man who is fleeing Nazi persecution. Unable to father a child, the impotent farmer proposes that the man impregnate Emma in exchange for sanctuary. At first repelled by the idea, Emma eventually relents, only to find herself falling for the stranger. Jealousy and betrayal erupt in this drama charged with eroticism and unexpected twists. “This is a gripping movie on an unusual theme,” Peter Marcus said. TUES., SEPT. 24, 7 p.m.
Joseph Tawila was the lute player in a legendary Mizrahi band sadly torn apart by tragedy. Twenty years later, he is asked to reassemble the band for one final performance to honor the dying wish of a former band member. Joseph has many zany encounters as he travels throughout the land in search of accomplished musicians. Set in a mythical time and place in Israel, the film pays homage to American Westerns, with exotic instruments taking the place of guns. Music educator Mark Kreditor will lead the Q-and-A. SAT., SEPT. 28, 9 p.m.
Eighteen-year-old Shira is the youngest daughter of an Orthodox Hassidic family in Tel Aviv. As she is about to be married off to a very promising young man of her own age, her older sister dies tragically in childbirth. Shira’s mother, concerned that her bereaved son-in-law, Yochai, may soon leave the country with her only grandchild, proposes a match between Shira and Yochai. Shira is left torn between her personal happiness and her duty to her family. “This is a tastefully done film, and we were sold on it after reading a critique in a London newspaper,” Brenda Marcus said. SUN., SEPT. 29, 11 a.m. This documentary takes you from the shtetls of Eastern Europe to the nightclubs of New York, as filmmaker Roberta Grossman weaves together the history of “Hava Nagila,” the Jewish song that transcended its humble origins to become a worldwide phenomenon. Featuring interviews with Harry Belafonte, Connie Francis, Danny Kaye, Leonard Nimoy and others. The film will be followed by a closing brunch catered by Simcha Kosher Catering, along with dueling accordions and dancing. Co-sponsors: Dallas Jewish Historical Society, Simcha Kosher Catering/Lowell Michelson. I am certain that Lil Goldman must have touched every Fort Worth Jewish family in some way over her many years as an educator. I know as we have sifted through photos in our home, there are a myriad of preschool photos of our various preschool classes, with Miss Lil’s lovely smile and elegant demeanor a part of every one. It is only fitting that the Lil Goldman Early Learning Center will hold its 60th anniversary celebration weekend Friday through Sunday, Oct. 18-20. The community is invited to take part in the celebration, which will include something for everyone. There will be Friday evening Shabbat services honoring all Lil Goldman teachers at Beth-El Congregation; Saturday morning Shabbat services honoring all Lil Goldman students at Congregation Ahavath Sholom; and a Saturday night Champagne and Chocolate Nosh honoring 60 years of learning at the home of Rachel and Michael Goldman for the Lil’s Kids Club members and major donors to the school. The weekend will culminate from 12:30 to 4 p.m. on Sunday, Oct. 20 with a huge family celebration picnic at Congregation Ahavath Sholom. The picnic is free of charge to everyone and the entire community is invited. There will be live entertainment, pony rides, a photo booth, bounce houses, a laser maze for the kids, as well as kosher hot dogs and hamburgers. Coordinators hope all past and present students will participate in the celebration. This picnic is for “the young and the young-at-heart.” That includes everyone. A special 60th anniversary tribute book, which will tell the story of the Lil Goldman Early Learning Center throughout the decades, will be presented during the weekend. To add your “tribute,” “family story,” or “personal message” to support the important work of the Lil Goldman Early Learning Center, contact the office at 817-737-9898 or visit http://lilgoldmanschool.org/new/lils-60th-anniversary/. Tributes are available from a $36 one-line greeting to an entire front or back page for $1,800. Many people are purchasing pages and putting their family photos in the book to show how their families have grown through the generations. Money raised from this campaign will provide a safety and security update to the school playground for generations to come. Karen Telschow Johnson and Marvin Beleck are co-chairs of the celebratory weekend. Are you tired of construction detours? Are you wondering about the huge pillars and bridges that surround you whichever direction you turn? At 12 p.m. on Wednesday, Sept. 11 at Beth-El, the “Daytimers” will find out all about the Chisholm Trail Parkway, how this massive construction project is coming along and how it will affect traffic in the future. The people in charge of this project, Kevin Reilly, corridor manager, and Sam Lopez, project communication manager, will show pictures and maps, and give a detailed explanation of the project, including which roads will be closed forever. Catering will be a “Daytimers” favorite, Boopa’s Bagel Deli, and guests have a choice of turkey and hummus on a sesame bagel, cream cheese and assorted veggies on a pumpernickel bagel, or lox and cream cheese on an everything bagel, plus chips, cookies, coffee or tea. Lunch is $9, or guests may attend for $4 for cookies, and coffee or tea. Anyone who would like to order bagels for yourself delivered with the lunch order, may call Boopa’s with a credit card at 817-232-4771. The “Daytimers” program for Oct. 23, featuring Cantor Robbi Sherwin, is postponed until Wednesday, Oct. 30. Robbi reported, “The good news is that my brother, Scott, is about to remarry a wonderful woman, Ellen Blitz. She is a sweetheart and fits beautifully into our family. The bad news is, my father and I have to fly to Florida to attend the wedding (I am the officiant) and we need to leave on the day that I am scheduled to come to the Daytimers, Oct. 23.” So all is well, and it has been rescheduled for Wednesday, Oct. 30. Please change your calendars. Incidentally, it’s been a busy couple of years for Robbi. She is due to graduate rabbinical school in July 2014; was elected vice-president of the Women Cantors’ Network’ and just won a number of awards along with her band Sababa for their music. Congrats! Every Jewish holiday is filled with rituals and traditions. Rosh Hashanah, for some, means synagogue and shofar; for most, it also means apples and honey. This wonderful story — presented in a somewhat shortened version — is part of our family’s holiday celebration. Please credit Peninnah and Rachayl if you pass it along, making it as long or short as your storytelling skills allow. In a great oak forest where the trees grew tall and majestic, there was a little apple tree. One night the little apple tree looked up at the sky and saw the stars, which appeared to be hanging on the branches of the oak trees. Epilogue: When we want to cut an apple, we usually cut it by holding the apple with its stem up. But in order to find the star, we must turn the apple on its side. Likewise, if we change our own direction a little bit, we too can find the spark that ignites the star inside each of us. The star is right there within you. Look carefully, look closely, and you’ll find that beautiful star. “Our daughter, Jennifer Paul, is an actor in the New York Theater. Recently she was in a musical entitled “Holy Cow” at the New York Theater Festival this summer. “Holy Cow” ran for three weeks. The New York Theater Festival is held every summer and usually runs 40 shows. Jennifer was nominated for best supporting actress in a musical and won! Jennifer graduated from J.J. Pearce High School, and Brandeis University in Massachusetts with a degree in theater arts. She has been a working actor and resident of New York City for six years. Jenny is proud of her Texas heritage. In her spare time, she enjoys taking long walks down the Roosevelt Island Boardwalk, playing volleyball, keeping up with friends and fans on Facebook as well as experimenting with different types of cooking.” We hope to see more of Jenny soon on both TV and in film. Celebrity sportscaster Jane Slater, co-host of the Elf and Slater Show on 105.3, The Fan, will be the guest at the Congregation Beth Torah Men’s Club monthly lox and bagel breakfast meeting on Sunday, Sept. 8. Slater talks sports daily on the Cowboys flagship radio station and will bring an insider’s view of training camp as well as her perspective on the team’s 2013 season, which kicks off that night with a game against the New York Giants. The public is welcome at the breakfast, which begins at 9 a.m. Cost for the breakfast is $10 for adults and $5 for students. Beth Torah is located at 720 W. Lookout Drive in Richardson. For additional information, contact the synagogue at 972-234-1542. The Gladys Golman/Faye Dallen Special Needs Fund of the Dallas Jewish Community Foundation has announced $70,000 in grants awarded to nine institutions in the Dallas area. This year’s grant recipients include Jewish Family Service of Greater Dallas, Congregation Shearith Israel, Congregation Kol Ami, Ann and Nate Levine Academy, Torah Day School, Congregation Beth Torah Religious School and Preschool, Anshai Torah Preschool and Akiba Academy. The 2013 gifts will help advance teaching capabilities, promote inclusion in the schools, provide educational seminars and training days and purchase enabling technology to further contribute to classroom success for young students with learning differences. These include autism/Asperger’s syndrome, ADD/ADHD, dyslexia and other learning challenges and neurological disorders. On Aug. 16, 2012, 65 curious individuals came together to re-imagine what Jewish life could look like in the 21st century, to begin building an untraditional take on traditional Judaism for young Jews in Dallas. The goal is to take the synagogue out of the synagogue, build a peer-led community of Jews in Dallas that weren’t afraid to think big and bold. A little over one year later, Makom is thriving. Makom is a Hebrew noun meaning a place, space, area or spot. Singer noted that Makom will host a celebration of the New Year — “Night of the New Moon” — will take place at 7 p.m. tonight, Aug. 29 at the 6th Street Bar, 3005 Routh St. For additional information on Makom, contact Rabbi Singer at 972-939-7341. Good wishes to Irving “Irv” Munn, a Certified Financial Planner™, who has been named as a recipient of the 2013 Five Star Wealth Manager award. Five Star Professional partnered with Texas Monthly Magazine to find wealth managers who satisfy 10 objective eligibility and evaluation criteria that are associated with wealth managers who provide quality services to their clients. Fewer than four percent of the wealth managers in the Dallas/Fort Worth area were selected. Evaluation criteria included client retention rates, assets managed, households served and education and professional designations. Irv received his undergraduate degree from UCLA and his Master’s degree from the University of Texas. He is also a CPA, but recently sold his accounting firm to devote more time to financial planning. He has been a registered representative with Raymond James Financial Services for 15 years. Munn & Morris Financial Advisors is independent of Raymond James Financial Services, Inc. Securities are offered through Raymond James Financial Services, Inc., member FINRA/SIPC. It is located at 14180 Dallas Parkway, Suite 530, Dallas. For further information, contact Munn at 972-692-0909 or imunn@munnmorris.com. Irv and his wife, Cindy, are the parents of two children. They have been long-time members of Temple Shalom. Irv actively serves on the board of directors of many charitable organizations throughout the city. He is an avid athlete, participating in softball and golf in addition to other sports-related activities. Mazel Tov, Irv! Send your news to lindawd@texasjewishpost.com. There are times when we are angry at our parents, and times when we have certainly thought — and maybe said — some not-so-nice things. Being a parent is the hardest job there is, and the most heroic thing parents do is love their children unconditionally. Even when parents are angry with your actions, they never forget that most important mitzvah, B’tzelem Elohim, we were created in God’s image. A parent’s job is to remember this and to help each of us become all that we can be. Parents aren’t perfect, and that’s good, because children aren’t perfect either. Parents are the perfect hero because they are real and we can strive to be like them. All of the mitzvot we studied this summer are taught to us by our parents and demonstrated by our parents. Being a parent is one of the hardest jobs, but also the most rewarding. Our theme for the summer has been all about “heroes,” “mentors” and “role models.” Each week, we’ve been reminded that “we can see further because we are standing on the shoulders of giants.” We are challenged to look at the “giants” in our history and our families, to appreciate all they have done and the lessons we can learn from them. It is a true mitzvah to honor those who came before us. We honor them by working to emulate their good qualities. We must ask our parents and grandparents to tell us the stories of our family heroes, and we must pass those stories down to our children. And, most importantly, we learn how to be heroes to those coming after us. The commandment is to honor your parents, not to love them. How is that different? Can you honor without love? Can you love without honor? Our parents are the most important “heroes” or “mentors” in our lives. Let your parents tell you what they admired about their parents. And the children should tell in what ways they would like to be like their parents. Many of us think about the “perfect parent” or the “perfect child.” Have a family talk about what this “perfect (fill in the blank)” would be like. Why would that be so great? How could we each try to be closer to that ideal? There is nothing more gratifying than hearing from a TJP reader, that an article they read made a difference for them. When I bumped into Sheri Allen recently, she shared with me that she will be traveling to Israel for the first time this fall with Rabbi Debra Robbins from Temple Emanu-El. Allen learned about the trip from the July 4 TJP article about the delegation Robbins will lead to join others in celebration of the 25th anniversary of Women of the Wall. In December 1988, a multi-denominational group of about 70 women approached the Western Wall with a Torah scroll to conduct a women’s prayer service. Many women, and men on the other side of the mechitzah (barrier separating men and women), began to scream, curse and even threaten the group. Since then, Women of the Wall has been working to pray together, while wearing tallit and bringing a Torah to the women’s section. The women have prayed at the Western Wall once a month for the past 25 years. We look forward to a report from Sheri about her trip. There will be two simultaneous programs next weekend for Selichot services. At 8 p.m. on Saturday, Aug. 31, at Congregation Ahavath Sholom, Rabbi Andrew Bloom will present “How to Secure Your Person and Your Soul.” Selichot services will follow immediately after. Also at 8 p.m., on Aug. 31, at Congregation Beth Shalom in Arlington, Rabbi Shira Lander will present, “The Direction of Prayer — Toward Jerusalem? : A Text Study.” The program will be followed by a brief reception and Selichot service. Lander is the Anna Smith Fine senior lecturer and advisor in Jewish Studies at Rice University. She earned her doctorate in Judaism and Christianity in Late Antiquity from the University of Pennsylvania in 2002, and holds a masters degree and rabbinic ordination from the Hebrew Union College-Jewish Institute of Religion. Her most recent publications include a commentary on Paul’s first letter to the Corinthians for Oxford University Press’s Jewish Annotated New Testament. Her current book project explores how Christians, Jews and practitioners of traditional Roman religion of fourth- and fifth-century north Africa used shrines and houses of worship to compete for religious authority, and produced narratives of vandalism and violence to create new self-understandings. Before moving to Texas, she taught at the University of Maryland, St. Mary’s Seminary and University, Johns Hopkins University and the Beth Tfiloh Dahan Modern Orthodox High School. Lander was also the inaugural Jewish scholar on the staff of the Institute for Christian and Jewish Studies in Baltimore. She is married to Dr. David Portnoy, head of school of Yavneh Academy in Dallas, and they have two grown sons. It is not too late to participate in Congregation Beth Israel’s blood drive from 9 a.m. to 3 p.m. Sunday, Aug. 25. Walk-ins are welcome, but those with appointments will be taken first. Please have a good meal and drink plenty of fluids before your donation. To register, visit https://ww2.greatpartners.org/donor/schedules/drive_schedule/40223. 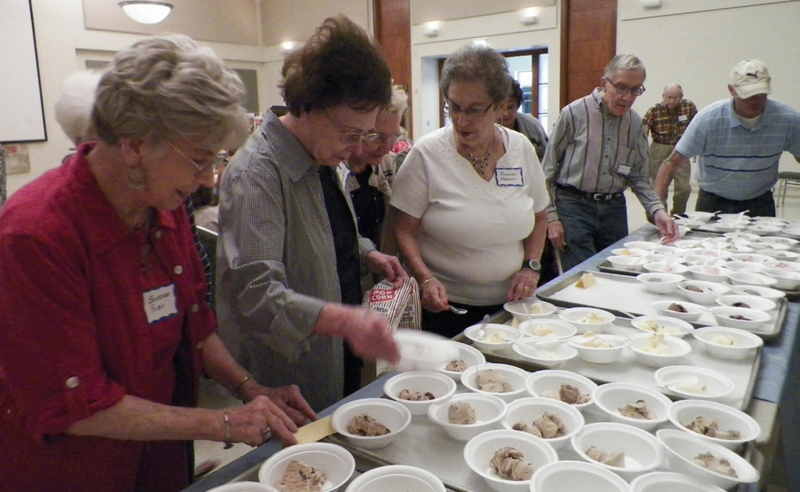 Daytimers held a second summer Ice Cream Social, because of the opportunity to view the superb British film, Quartet, directed by Dustin Hoffman and starring Maggie Smith. Picking their favorite flavors are, from left, Barbara Rubin, Ethel Schectman, Jacquie Robinson, Rosanne Margolis, (partially obstructed) Claudia Boksiner, Dr. David Cristol, and running to the table in the background, Dr. Irvin Robinson. One of Zeta Beta Tau Fraternity’s most prestigious brotherhood accolades, the Edwin N. Sommer Award, was presented to brother Todd Aaron, Lambda (Texas) ’84, on Saturday, July 27, at ZBT’s 2013 annual International Leadership School. Todd has proven his dedication through his work with his own Lambda Chapter at University of Texas-Austin, leading the charge to reconnect brothers and alumni in recent years. Affectionately known by Longhorns as “Doc. T,” Todd has led a true resurgence of alumni involvement at Texas. Lambda is now the largest Zeta Beta Tau chapter, with nearly 200 undergraduate brothers, many of whom are legacies. In a recent renovation of chapter property, brothers chose to name the basketball court the “Doc. T Court” in Todd’s honor. Todd also works to help the chapter with Dads Days, parents’ club, recruitment recommendations, risk management advice, connecting with the local Jewish community, conferring with the university and general chapter advising. Temple Shalom President Aric Stock recently announced the appointment of Sara “Rosie” Tesson as Youth Advisor, effective immediately. Rosie recently returned to Dallas from Greene Family Camp, where she was on this year’s staff and worked with many teens and kids during the summer. She is a long-time member of Temple Shalom, where she celebrated her bat mitzvah, was confirmed and was very active in SHFTY. Rosie graduated from Texas State University and has a teaching certificate. The word from Rosie is that she is “very excited” to be joining the Temple Shalom staff, in a part-time capacity, working with teens and assisting the clergy with developmental programming for this important young group of the congregation. She will also be teaching in Next Dor as well as working with Ozrim. Deepika Gopal, MD will present a lecture on “What Causes Heart Failure?” from 6:30 to 7:30 p.m. on Monday, Sept. 9. Distinguished Baylor cardiologists will offer the sessions monthly (free to the public) and speaking on a variety of subjects. The seminar is located at The Heart Hospital, Baylor Plano Auditorium, 1100 Allied Drive, in Plano. It is open to anyone experiencing heart failure, or having a loved one managing the condition. CHAI, the pioneering non-profit organization that began 30 years ago to serve adults with cognitive disabilities, has named Lisa J. Brodsky, an experienced non-profit leader as its new chief executive officer. Brodsky, who most recently served as director of planning and allocations for the Jewish Federation of Greater Dallas, began on Aug. 19 She replaces Lea Rosenthal-Bond, who is retiring after 18 years of service. CHAI accepts adult applicants ages 18 and over from all religious denominations and income backgrounds. Residents live in home-like settings where they can progress toward achieving their full potential with as much independence as possible. CHAI relies on private donations, grants from foundations and funding from governmental sources when available, as well as private-pay fees where possible. A key CHAI program is the Wolens Program Services, a network of services provided to the residents of the CHAI group homes and members of the community which engages them in interesting, constructive social, educational and spiritual activities and helps them become appropriately employed. Acceptance into community life as competent and valued members of society is key to the personal success of persons with cognitive disabilities. On Sept. 29, CHAI will celebrate its 30th anniversary with a special “30 Years of Excellence Brunch” at the Westin Galleria. Brodsky has extensive non-profit management experience. Before joining the Jewish Federation of Greater Dallas, she served as program officer/grant manager for the AT&T Foundation, where she oversaw grant awards; she also previously served as director of programs and services for the Alzheimer’s Association and in many leadership roles at the Jewish Community Center, among them as director of adult programs and special events. She earned a Bachelor’s degree in social work from Arizona State University and a Master of Science in social work from the University of Texas at Arlington. CHAI is licensed by the Texas Department of Aging and Disability Services and is a beneficiary of the Jewish Federation of Greater Dallas. More information is available at www.chaidallas.org. Just a reminder that BBYO’s new member pick up will be held on Sunday, Aug. 25, and the All Member Kick Off Event will be held from 7:30-9:30 p.m. on Sunday, Sept. 1 at the Aaron Family JCC outdoor pool. We would like to hear from our readers. Send your news to me at lindawd@texasjewishpost.com. Ner Tamid means “eternal light,” and since 1984, Congregation Ner Tamid has been just that for the Jewish community. That light will continue to shine bright in Lewisville — and beyond — for many years. The Reform synagogue dedicated its new space and sanctuary at a ceremony on Sunday, Aug. 11. The congregation moved in March to Hebron Office Plaza, 751 Hebron Pkwy. in Lewisville, after years of conducting services in homes. Being in a new area allows Ner Tamid to be more of a presence in the Jewish community, said Cantor and Para Rabbi Patti Turner. The synagogue has about 25 families and is hoping to expand. The dedication began with a ribbon cutting, followed by a service, mezuzah hanging and Torah reading. Rabbi Brian Zimmerman of the Union for Reform Judaism, Rabbi Frank Joseph of Temple Beth-El in Corsicana, Rabbi Avraham Bloomenstiel, the Jewish community’s sofer, and Bradley Laye, interim president and CEO of the Jewish Federation of Greater Dallas, were all in attendance. The three rabbis each hung a mezuzah in different areas. Bloomenstiel also wrote the new Sefer Torah and noted that it will allow Ner Tamid to have many simchas in the coming years. Zimmerman, who works with various Reform congregations in the Southern U.S., praised Ner Tamid for its perseverance throughout the years and continuing to stay strong. Ner Tamid is a storied congregation with a rich history, Laye said during his remarks. Everyone involved — from volunteers, to lay leaders, to members — should be proud to be part of what it has accomplished, he said. Randy Friedberg, Ner Tamid president, said moving was a dream the synagogue had for a while, and he is grateful it was able to happen. Growing and being a presence in the community are the ultimate goals, he said. Having their own space is very rewarding, Friedberg said, and he is excited for the future.